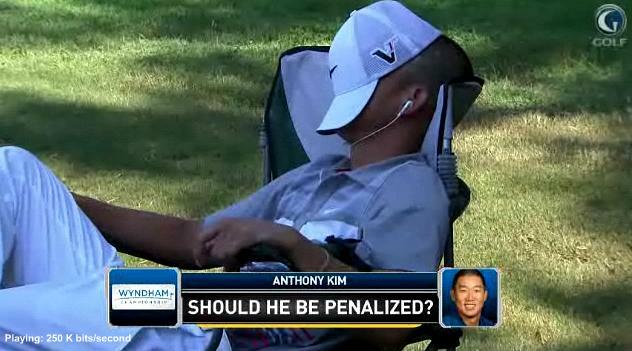 Anthony Kim – Gone Without Goodbye? As the world of golf searched for the next Tiger Woods, it focused its high beams on former OU golfer Anthony Kim. At 22, he won $1.5 million dollars in 2007, his first full year on the tour and finished sixth on the money list with $4.5 million while winning two PGA events is his second season. He was a member of winning U.S. teams in the Ryder Cup and Presidents Cup and seemed to be on the doorstep of greatness. All before the age of 25. 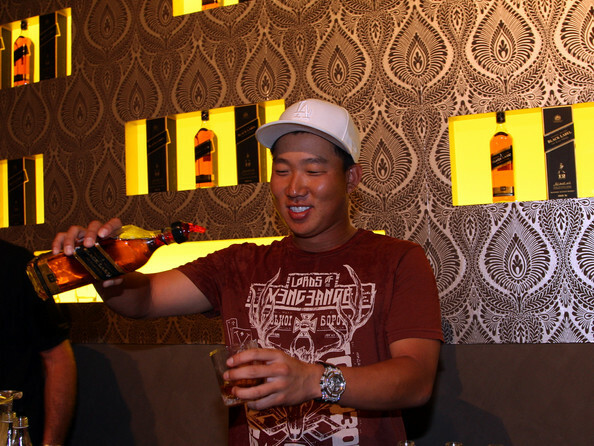 But Anthony Kim resembled Tiger Woods in another area. He liked to party. His benders were stuff of legend and caused many to wonder if Kim cared enough to be the best. For a time, he seemed to shift gears, making motions that he was going to get serious about his game. Nobody wanted to lose the fun side of Kim, but almost everybody wanted him to succeed. 2010 seemed to be his year. A playoff victory in the Shell Houston Open was followed by a third place finish at the Masters. Kim joined Woods, Phil Mickelson, Sergio Garcia and Adam Scott as the only players in the past 30 to win three PGA events years before their 25th birthday. Then came the injuries. He had his 2010 season cut short after just 14 events. In 2011, he came back but had just two top ten finishes, his lowest full season total. Then, in 2012, he tore his left Achilles tendon after making the cut in just two of 10 events. Kim has not played in a PGA event since. This week, his agent said that Kim is not even playing golf recreationally, and even though friends say he’s assured them he is working on a return, it sounds like AK may be done at the age of 28. Here’s a profile I did on him in his first year on the tour, which reads somewhat like a self-fulfilling prophecy. 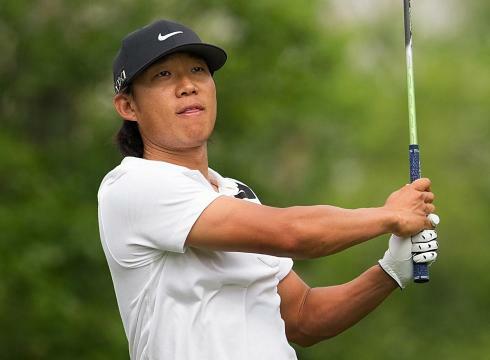 Anthony Kim exploded onto the collegiate scene at Oklahoma as the NCAA Freshman of the Year in 2004 and was a member of the victorious U.S. Walker Cup team in 2005. Despite that, Kim was somewhat of an enigma in Norman, attaining All-American status three straight years, while at the same time often finding himself in the doghouse of Coach Jim Reagan. Following his junior season, he decided to part ways with the Sooner program and turn professional. Just like he did in college, Kim made an immediate splash on the PGA Tour, using a sponsor exemption to play in the Valero Texas Open and finishing second in his debut. After qualifying for full time status in the winter, Kim became the youngest rookie on tour at age 22, and won over a million dollars in his first season. Still, Kim’s flamboyant style garners almost as much publicity as his talent. 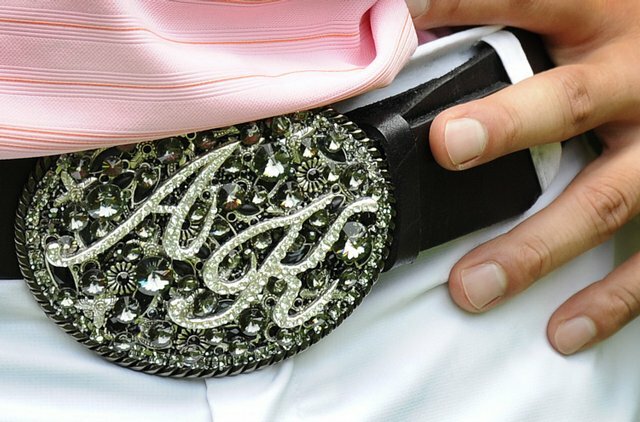 He can be seen wearing a large belt buckle he picked up at an Oklahoma mall with the initials AK, sometimes wearing his hat backwards and sporting brightly colored attire. As he told a reporter at the World Golf Championship’s Bridgestone Open, he takes his fashion inspiration from his roots. His background, as you might imagine, is not typical. An Asian-American, Kim moved away from his parents while he was still in high school. They remained in Northridge, CA, to run the family’s oriental herb business, while Anthony was set up in a house in LaQuinta, where he could attend school and work on his golf game through a membership at PGA West’s four private courses. Don’t get the idea that Kim is a country club kid, though. He is more in tune with the streets and showed that by hooking up with a public course professional as his mentor and friend. Kevin Scheller is a pro at Woodley Lakes G.C. in Van Nuys, California who Kim looks to for swing advice. The two became friends first and developed a working relationship later. But Scheller knew from the time he met Kim that the youngster was going to be something special. At Oklahoma, Kim also butted heads with Coach Reagan, but in spite of what many think, the two are still on good terms and Kim stays in contact with his college coach. Although he is now based in Dallas, Kim also returns to Norman from time to time, visiting friends and old haunts around the OU campus. One of the things that sometimes exasperated his coach was Kim’s insistence on spending as much time on the basketball court as he did on the practice tee. In fact, Kim missed several tournaments during his sophomore year at OU after spraining an ankle while playing hoops. At 5’10, 160, Kim envisioned himself as having a shot at being an NBA or NFL player during his younger days, but finally realized that golf was his future. Still, he loves basketball, and even though many people told him to focus on golf and forget other sports, Scheller wasn’t one of them. Another friendship he developed through his OU days is his bond with former Sooner golfer and British Open champ Todd Hamilton. The two met when Hamilton returned to Norman for an alumni event. Hamilton, a quiet and reserved personality, is the polar opposite of Kim, which may be the reason they get along so well, according to Scheller. Interestingly, Hamilton, who struggled after being named PGA Tour Rookie of The Year at age 38, even recommended his caddie to Kim. Ron Levin had been on Hamilton’s bag for the 2004 British Open win and is now toting the clubs for Kim. After a torrid start, with his four top 10 finishes coming by May, Kim has leveled off, still posting respectable scores, but finding inconsistency in his rounds. That has given rise to comments about his dedication to the game and has given detractors a chance to comment that Kim is more about style than he is substance. Still, his friend and swing coach Scheller believes that in the end, Kim’s talent will rise above any of the negativity. Kim himself expects to be number one in the world someday, something that he would even say in front of Tiger Woods. That’s just the way he is. Only time will tell if he’s the next Tiger or the next John Daly. Seven years later, it seems like a little of both, as Woods has faced many of the same lifestyle and injury demons that sidelined Kim. And Daly, well, he’s found his special place in golf, even if it is not on the top of the leader board. Let’s hope we haven’t heard the last of Anthony Kim, although the odds are not in his favor at this point.